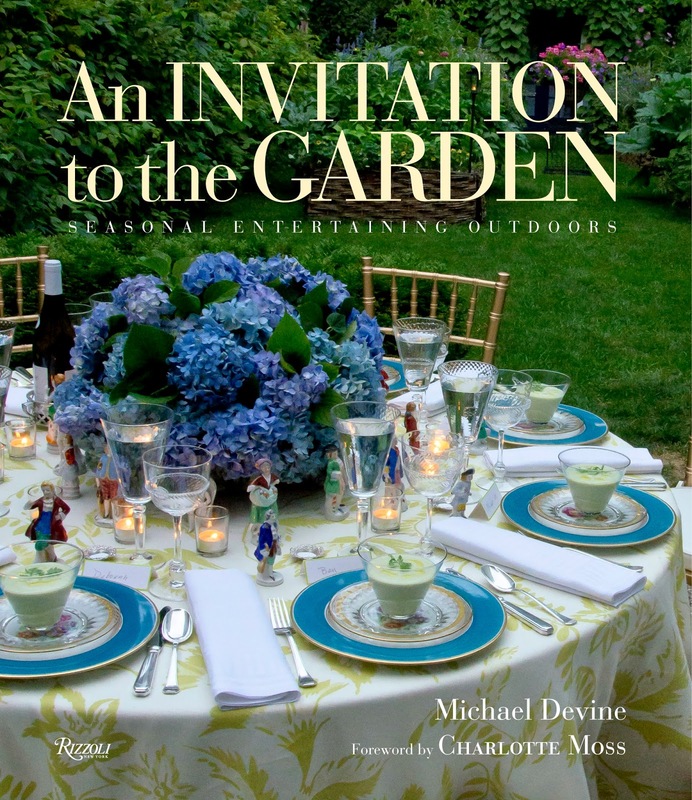 A breath of Springtime arrived this week in the form of Michael Devine's new book, An Invitation to the Garden, Seasonal Entertaining Outdoors. 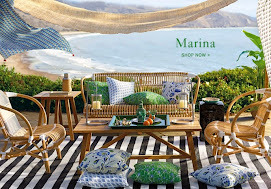 Browsing through the lush and colorful pages has me in the mood for outdoor entertaining as soon as the weather allows. 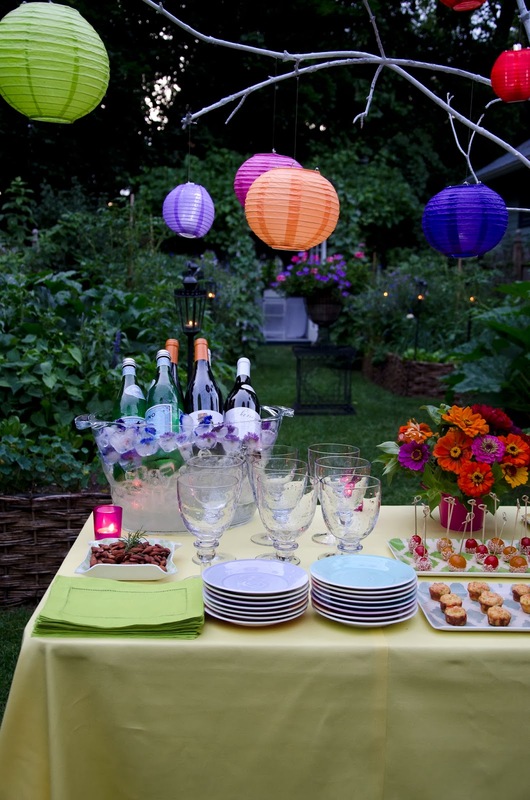 What is truly a pleasant surprise is that Michael takes us through all of the seasons of the year in his own beautifully landscaped garden, with ideas from casual to party to elegant formal entertaining! 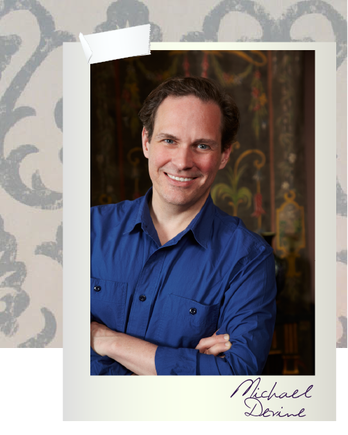 He has also generously included many delicious tried and true recipes from his repertoire. Michael grew up in Illinois where he was always encouraged to follow his dreams. He studied studied extensively abroad, including art history at the Ecole du Louvre, French at the Sorbonne and cooking at the Ritz Escoffier. 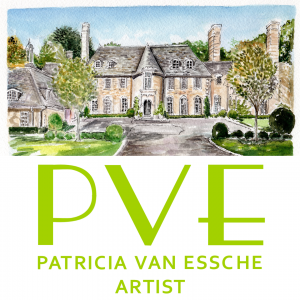 His experiences living in Paris fine tuned his design aesthetic and inspired his work. When he returned to New York, Michael spent over six years as a style and party editor at HFN Magazine covering the fabulous design world on both sides of the Atlantic. Michael is well known for his bespoke fabric collection of fresh, though traditional hand prints. 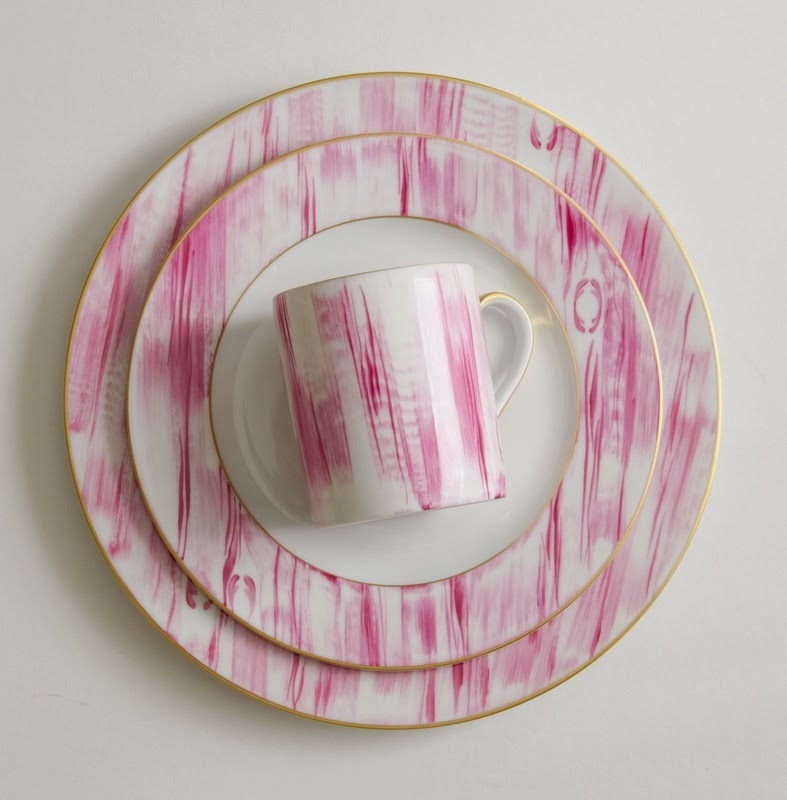 The textiles have a very chic hand crafted look. 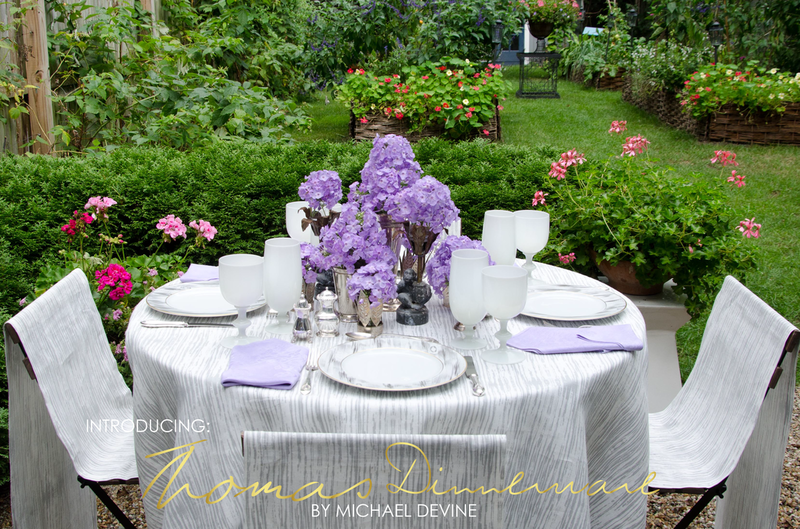 Please be sure to visit Michael's website at Michael Devine Home and his blog The Devine Life!